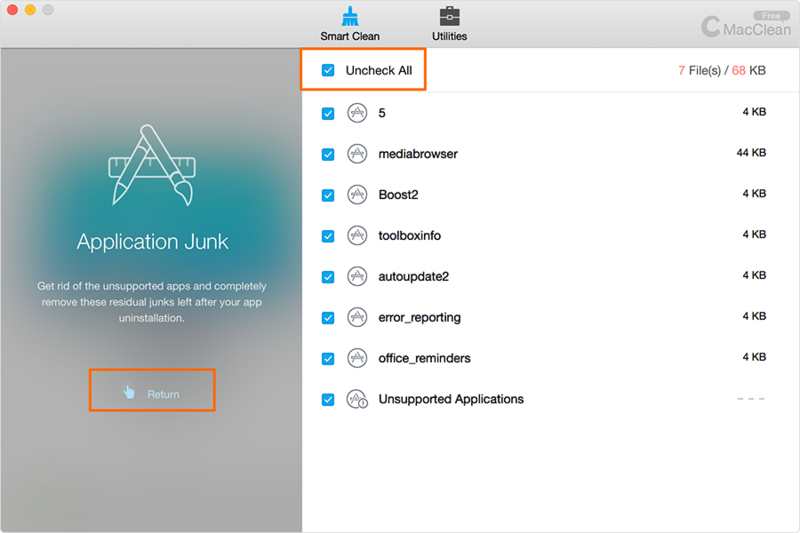 The application junks include the incompatible / unsupported apps on your Mac and the setting / configuration files left behind after you uninstall your apps. MacClean helps dig out and clean them up. Below is the tutorial for you about how to clear up those app junk files. Open MacClean on your computer > Click on the grey switch to choose Application Junk > then click the Start Clean button to start scanning the Application junk files. Once the scanning is finished, MacClean will give a summary for the size for the founded junk files. 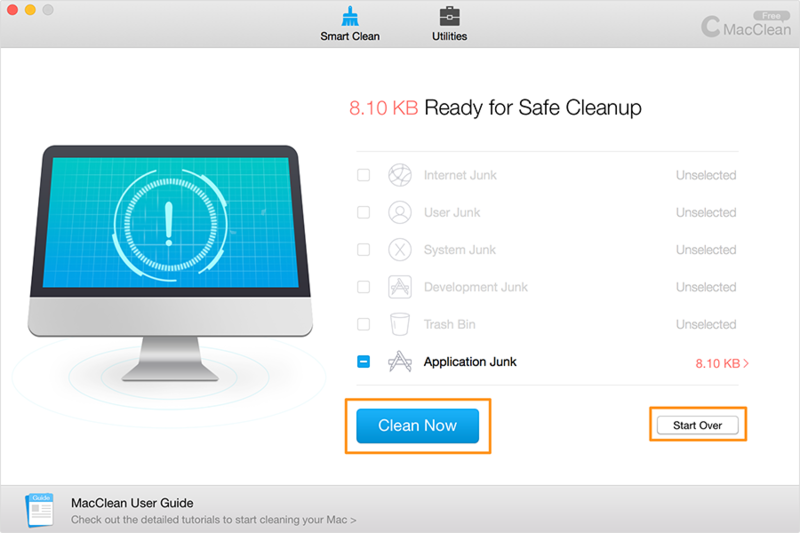 By clicking the size of the junk, you'll get a list of results for each piece of junk file. To delete all, simply check Check All option. You can also check any single item manually. Click the button in the left to return to clean page. 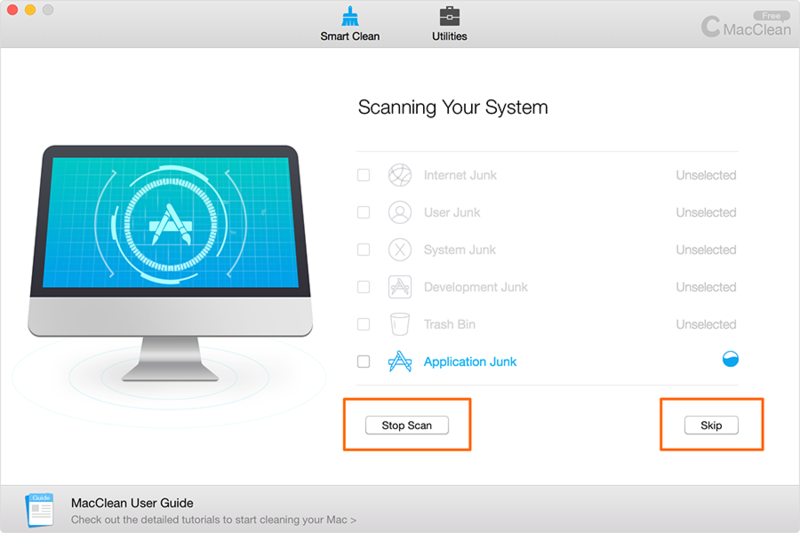 You can skip this step and clean the junk right after the scanning finishes. After Pre-check finishes, you can click Clean Now to start the cleaning, while click Start Over to quit the cleaning.